After nine long months...your little one is finally with you. After nine long months of growing and whispering hopes and dreams to the little life within you – you are finally together. The love you feel for this tiny human is powerful, and so overwhelming - you think you'll never forget what this feels like, or just how small they are. But this part of your life will go so fast, and it will become a foggy memory all too quickly - all those tiny details will soon be lost to time (and sleep deprivation). And once these moments are gone, you'll never get them back. Those first few weeks at home with your baby are such a special time in your life, and I love creating real and natural images that capture your little one just as they are - there are no gimmicky props, clothes or headbands with me (ever). I pour my whole heart into each and every newborn session...and at the end of it? You come away with real, honest and beautiful photographs (the kind of photographs you hope to get but don’t really think are possible). Photos that capture your family just the way you are and that will melt your heart over and over and over for the rest of your life, every time you look at them. Newborn babies are so sweet and precious, and so small for such a short period of time. These early days will a pass in such a blur, and all those perfect little things you will want to remember forever – tiny toes and fingers, small button noses, itty bitty lips and eyelashes; will be lost to you forever. And when your memories eventually fade, you will be able to hold onto these photos, and remember. During each and every session, I am focused on two things - capturing all the little details that make your little unique, and two; simple and natural portraits of you with your little one that are full of your love and connection. The end result? A beautiful collection of images that when viewed together, capture everything that makes your little one unique as well as the new, yet deeply profound connections between you. When is the best time to schedule a Simply Natural Session? 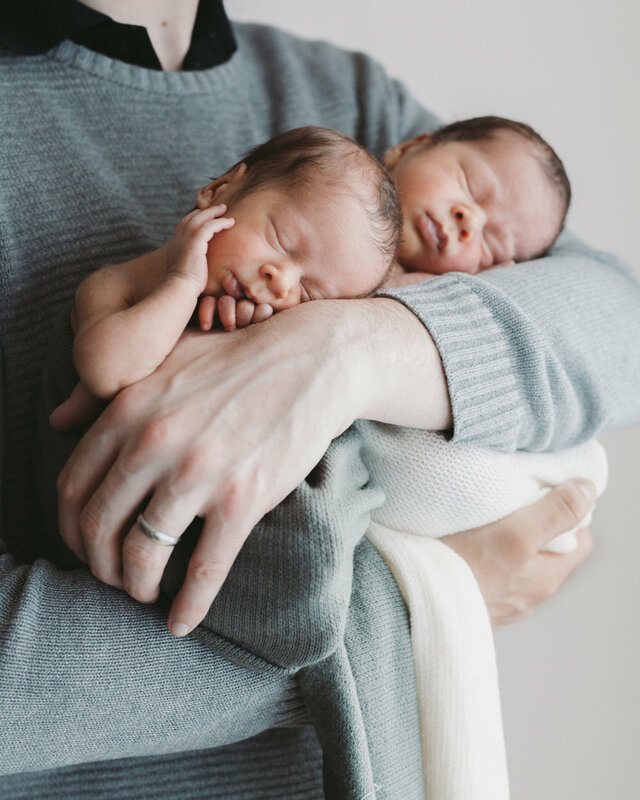 A Simply Natural session is ideally held within the first 6-10 days after birth while your little one is still sleepy and curly, having not yet fully adjusted to life on the outside (or the extra leg room). Once your little one moves past this age they become more awake and it can become more difficult to capture a wide range of individual portraits of your little one. Once you are booked in, I will mark your due date in my calendar and once your little one has arrived safely earth side we can arrange an exact date for your session. It’s always best to book in your session during your pregnancy, to reserve your session and avoid disappointment as newborn sessions are usually booked out 2-3 months in advance. Where are the Simply Natural Sessions held? These sessions are held in my natural light home studio, located in Point Cook (about 20 minutes from the CBD, over the West Gate Bridge, along the Westgate Freeway). The studio is warm and cosy, with plenty of space for you to relax and watch the session unfold. My home studio sits on a large park with a playground, which is perfect for families with energetic toddlers who need space to play during the session. What happens during the Simply Natural Session? It’s exactly what it sounds like - simple, real and natural. Your little one is the star of the show, and I will spend the majority of our session capturing all of their sweet details - wrinkly fingers and toes, little ears small button noses, itty bitty lips and eyelashes and sleepy eyes. No two Simply Natural sessions are the same, the flow of your session is set by the mood of your little one on the day, as well as the natural way their body moves. Some babies prefer to be all curled up; some prefer to stretch out - and I won’t know this until the day. Your little one will set the pace, and I always schedule plenty of time for quieting, soothing, nappy changes, feeding and cuddling. No matter what, I always keep a relaxed and unhurried pace to keep both you and baby calm, happy and safe. During the session, your little one rests on a big, flat beanbag, and we can choose from a variety of wraps and blankets in neutral colour tones, which gives a very natural feel to your images. But your session is more than simply capturing what we see, it’s about capturing what you feel too; and we will also capture the love that exists between you all with beautiful and timeless portraits. I will capture photos of each parent with the baby, parens together as well as with siblings, in a variety of photos. My goal? To create timeless images that you will love, hold and look back on for the rest of your life. Do you use props, headbands and buckets? Babies are beautiful just as they are, which is why I will never use props [things like buckets, headbands, pumpkins or knitted outfits] unless they are heirloom pieces that have deep meaning to you. Each session normally runs for you for two to four hours, and is entirely dependent on your little one and how long it takes to feed them, and settle them. It’s best not to plan anything on the day of your session if you can avoid it. Sure am! I stay up to date with my Whooping Cough Vaccination, and I recieve a booster shot every three to four years to ensure my immunity (as immunity provided by the vaccine can start to decrease after two years and stops completely by 10 years. Absolutely! I love to capture some photos between siblings on the beanbag where your older children can admire, touch and gently play with their new baby brother or sister without disturbing them too much. But I feel a little self-conscious about having my photo taken, especially after I give birth. Can you just take photos of the baby? This is completely understandable, and the thought of having your photo taken when you feel like a hot mess can be really anxiety-inducing. BUT - I refuse to let you leave until you've jumped in front of the camera. My approach to photography throughout your session is a gentle and friendly one - capturing you comfortably and candidly is paramount; and I am experienced in positioning you and capturing you at flattering angles. You'll also receive a full preparation and information guide after booking, full of tips on what to wear so you are feeling at your best. How many years have you been working as a newborn photographer? 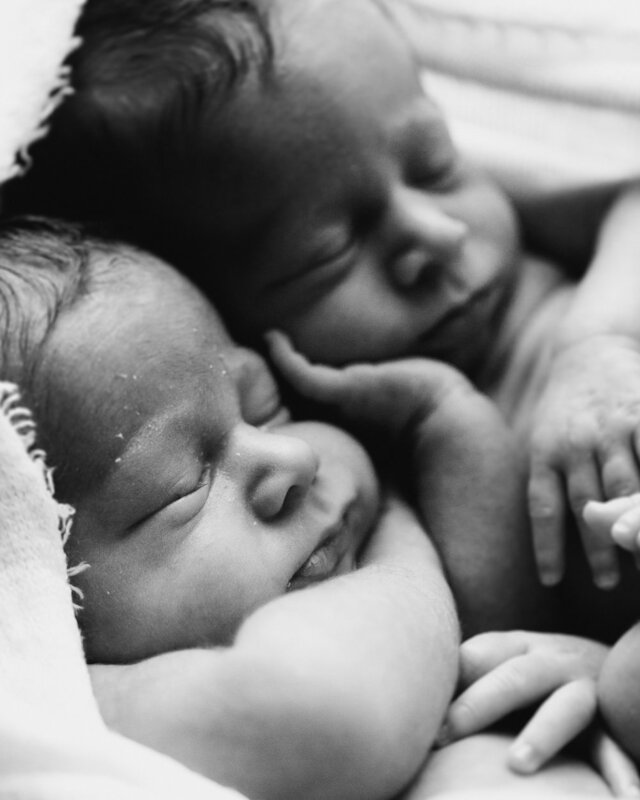 I have been working as a photographer for four years, and photographing newborns for three. So far, I have handled 100+ babies including preemies, twins, recently circumsized babies and babies with phsyical impairments. The safety of your little one is my number one priority at all times, and will be closely monitored and within arms reach by me at all times. What happens if you are sick for our newborn session? As soon as I am aware that I am unwell, or becoming unwell, I will provide you with as much notice as possible. Depending on my symptoms and how unwell I am, I will either completely reschedule your session to the next available date or alternatively provide you with the option to proceed if you would feel comfortable with that (for example if I have a very mild head cold and am otherwise totally fine). How much, and what is included? Each collection includes your session and all edited digital images (estimated at 40+) in a high resolution copy and web resolution copy for easy sharing online. Simply Natural Newborn Sessions start at $1100, and packages are available if you would also like to book a maternity photography session. Payment plans are available - a booking fee of $220 will reserve your session spot, and the balance can be paid over two to five installments. Yes! Packages are available if a maternity session is booked with your newborn session. Curious about what a maternity session looks like? You can see some examples over on the Bump page. Do you offer prints and albums? Abso-freaking-lutely! You can view the full range of studio products in my pricing guide - please contact me to receive a copy of this via email. You can also view various samples at the studio when you come for your session.